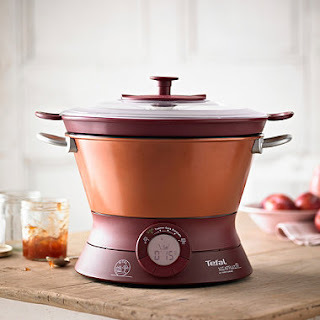 About 4 years ago I ran across a Tefal confiturier automatic. 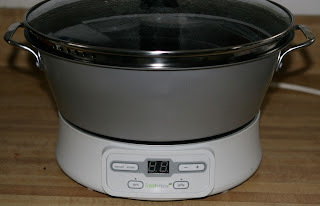 An automatic jam maker. I desperately want one, but Tefal is a European company and they could not see the need for lowly Americans to own a confiturier automatic. I asked if one could change the plug from 220 to 110 and was told emphatically --NO! 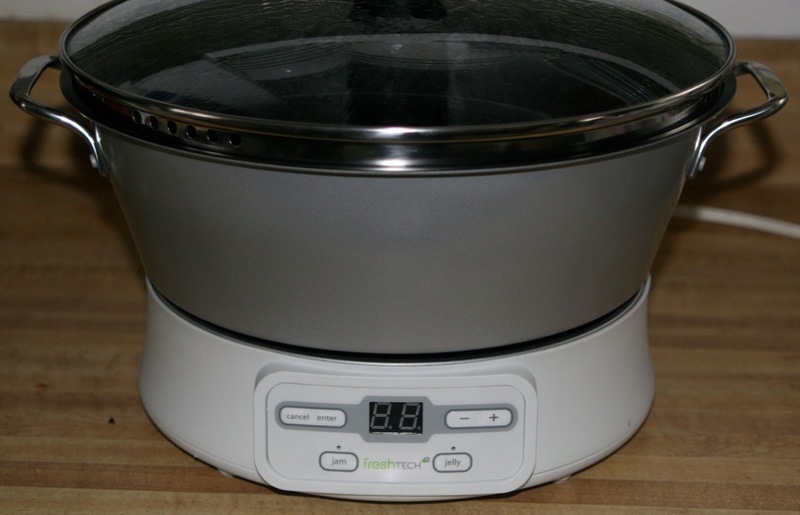 I gave up on the idea until last year when Ball released the FreshTECH automatic jam maker. I received one for Christmas, and I could barely wait to open it. My enthusiasm for my new toy had been somewhat dampened by reviews of the FreshTECH complaining that it was a bit on the simplistic side. I agree that many of the recipes are quite plain and loaded with pectin, but who lets a little thing like "directions" get in the way for jammy goodness. My first foray into jelly making began with a bottle of Muscadine Cider I brought home from South Carolina. I wasn't really interested in drinking it, but I was convinced it would make a great jelly. I followed the recipe for jelly to a tee, using a full measure of sugar and pectin. It turned out fine. I was worried that it might end up leaning toward fruit leather, but it didn't. Next I tried a pomegranate jelly, this time using the low sugar method as the pomegranate juice was a bit on the sweet side to begin with. The lower sugar jelled fine. Then, I threw out the book. I wanted to use the machine to make marmalade, a recipe no where to be found in the cookbook. I am a firm believer that marmalade should at its best should ward off the most virulent scurvy. I want marmalade that with all its pithy fight. I did not want to add a bunch of pectin. So I sliced my peel, juiced my cara cara oranges and added my sugar. I left the mixture to cure in the refrigerator overnight. 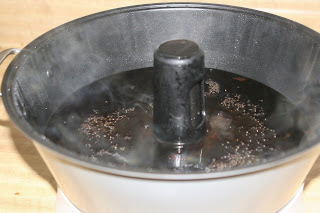 I dumped the mixture into the FreshTECH and set it for jam. When it was done, I unplugged the machine and let the marmalade sit until the machine cooled off. (The instructions are very clear that one must let the machine cool for at least 30 minutes before starting another pot.) After an hour, I went back to the marmalade and rested the machine, cooking the marmalade a second time. After two cookings, the marmalade was a perfect texture. I can't believe it. I was just trying to figure out how to come up with a prototype for a jam maker and voila... Where do you get this? I recently made strawberry lemon marmalade and blood orange, raspberry and lemon marmalade. My citrus had to wait during the holidays so I have loads to do something with. Mostly, I juiced it. Oh how wonderful -and I LOVE orange marmalade -homemade is the best. It's the Christmas gift that keeps on giving! wow...wonder if I can get a honey maker? Will you try pumpkin chips next fall? Or now if you've some in the cellar! I think I want a jam maker especially if you can make successful pcs! Would you be willing to share your orange marmalade recipe for the Ball Jam & Jelly maker? I just purchased one and ADORE orange marmalade! 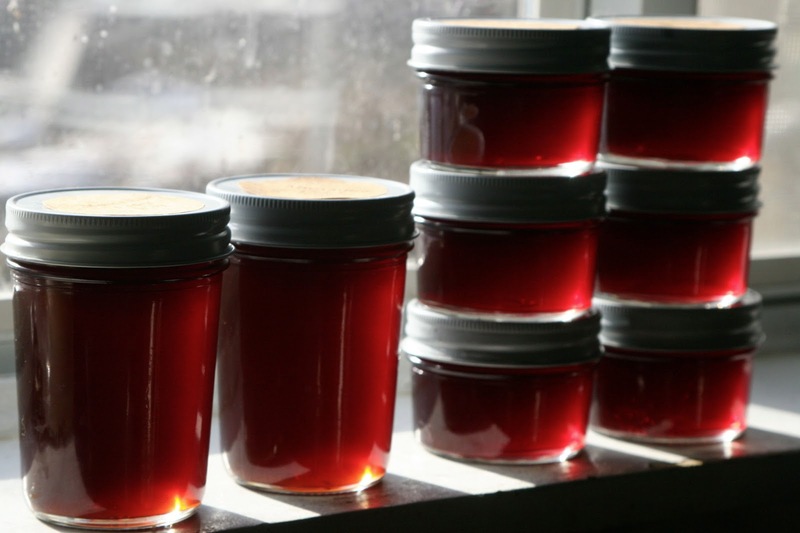 Have you used the jam maker to make without pectin? Yes, I have used it for marmalade. Ran it once. Let it cool down. Then ran it a second time. I don't like my marmalade really firm, so it worked just fine. 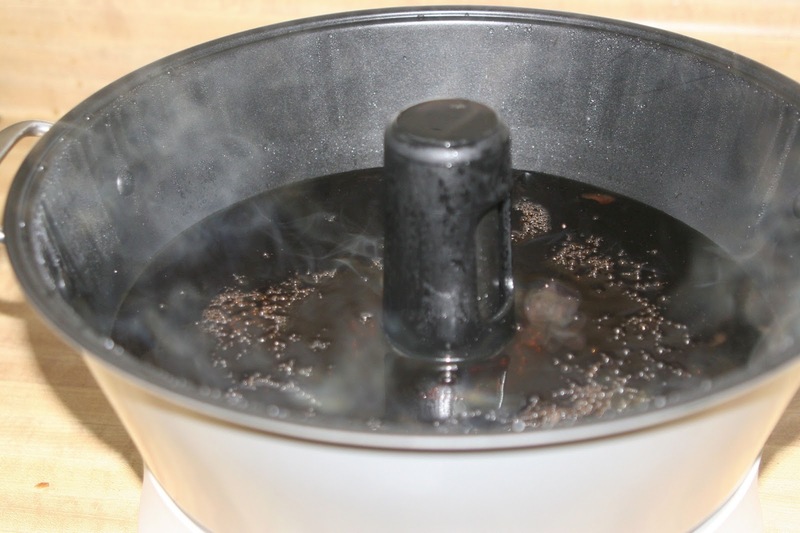 Have you thought of trying stone ground grits that need constant stirring in this pot? what's the difference between jelly,jam and preserves?